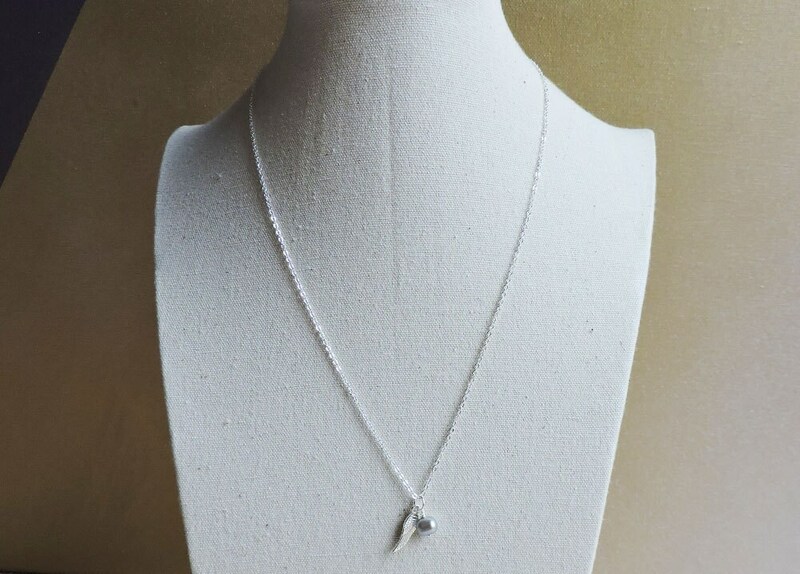 Delicate and dainty, this is a pretty little charm necklace with a genuine silver grey freshwater pearl and silver suspended from a silver chain. 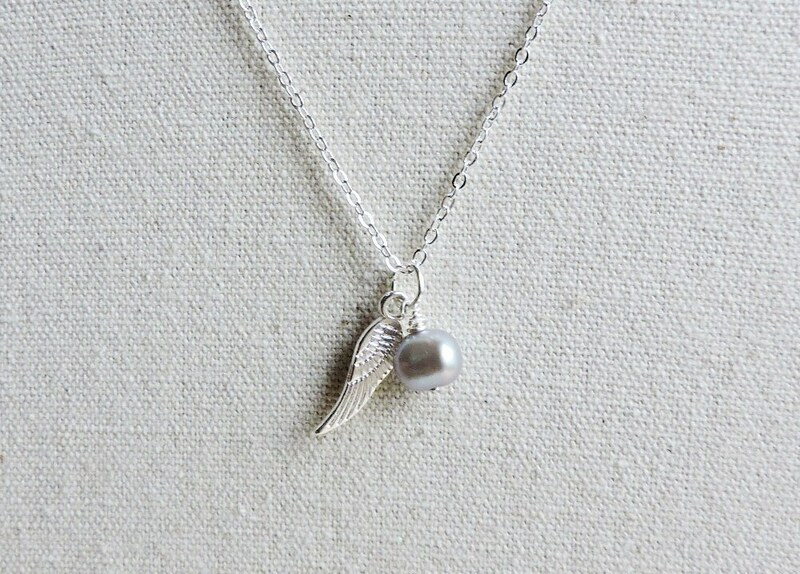 This would make a perfect gift for bridesmaids, brides or just simply to treat yourself! 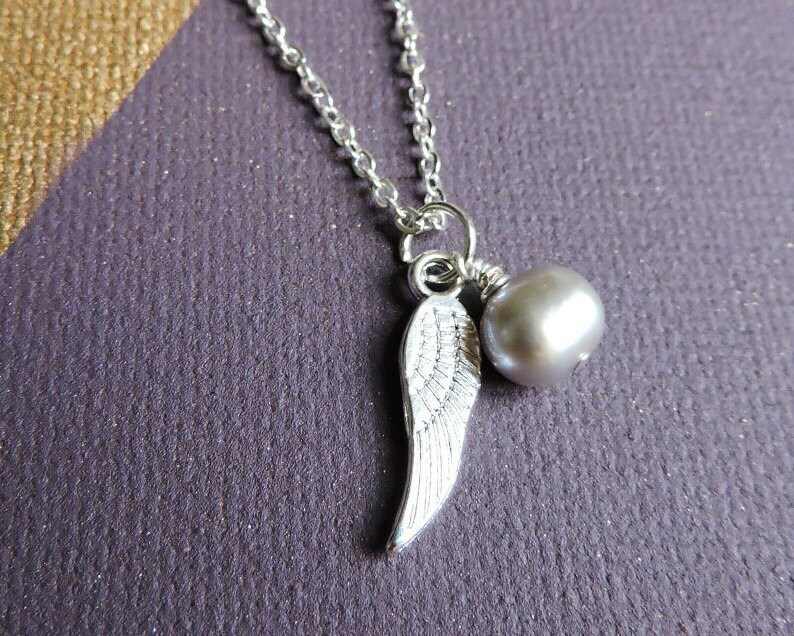 Easy to wear and layer with other necklaces. Necklace: 20" silver plated trace chain. All findings are silver plated. 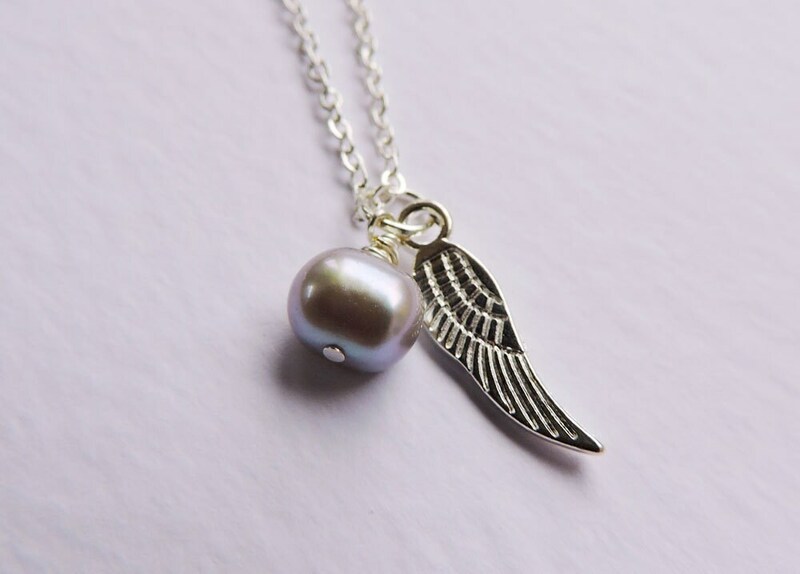 These necklaces are handmade to order, but I always keep a handful in stock, ready to ship. For larger order quantities there may be an extra day required to make the items. If you need the items more urgently, please contact me directly.